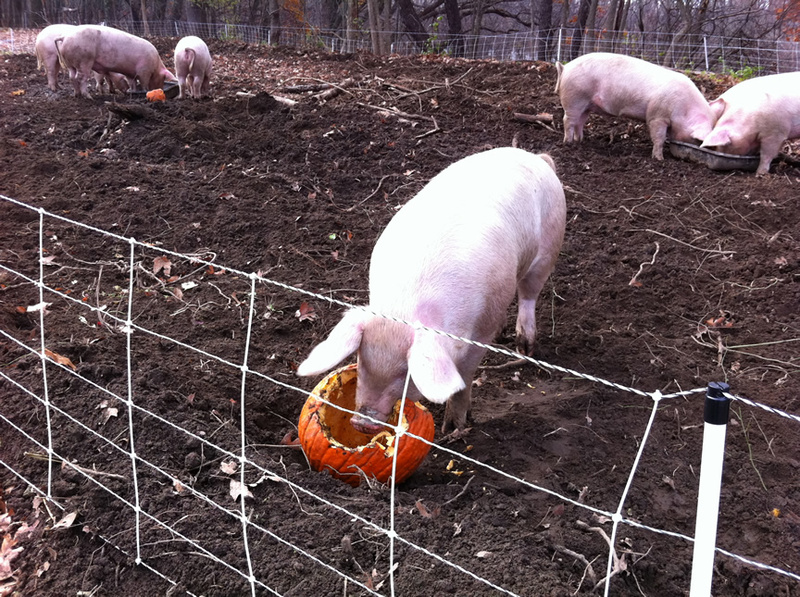 This pig made short work of my jack-o-lantern today. I was happy not to waste it by putting it in the trash. So was the pig, evidently!